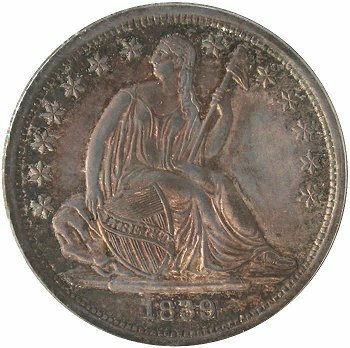 Comments: Obverse 1 begins to show wear around Liberty's head. 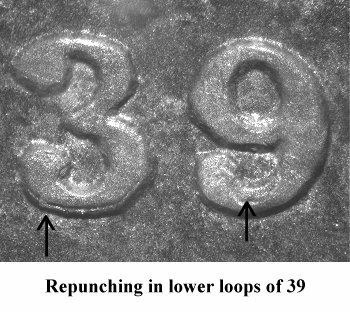 Repunching below the lower loop of the 3 digit and within the lower loop of the 9 digit is still evident. 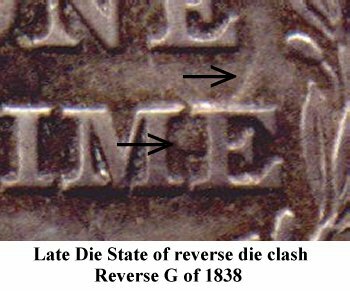 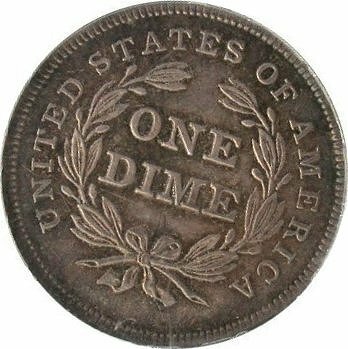 Reverse B is a left over die from 1838 (Reverse G), which has a large die clash mark in between the ME of DIME. 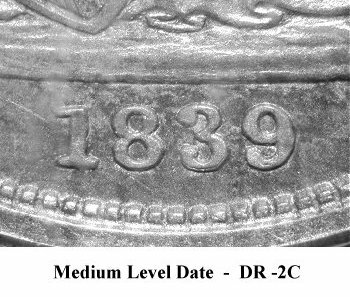 There is also a light die crack connecting the tops of UN(ITE)D. Again Reverse B is rotated left 18 degrees.